Dubai’s population is composed of just 15% native residents, with remaining 85% being expatriates. About 85% of the expat population – that is, 71% of the total population is Asian, primarily from India (accounting for 51%), Pakistan (17%), Bangladesh (9%) and the Philippines (3%). 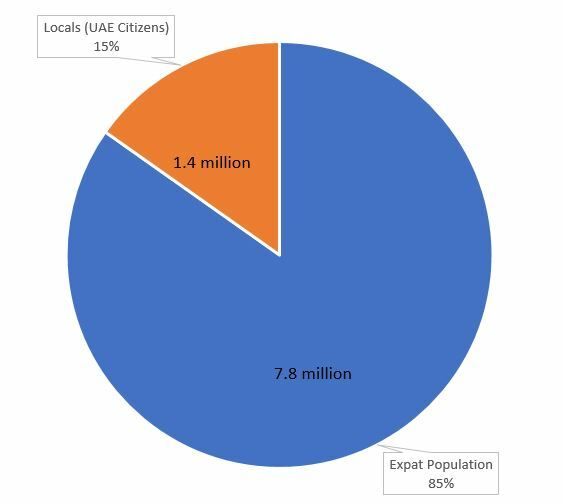 Out of the 9.2 million people living in UAE, 1.4 million are locals (citizens) and the rest (7.8 million) are expats. UAE is unique in its demography mix dominated by expatriates. Dubai’s population is 3.03 million as of March 2018. 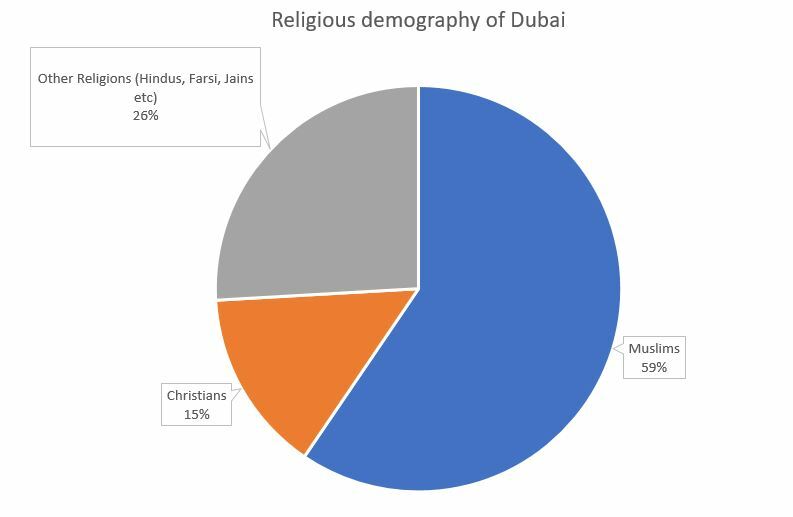 According to the last available statistics, UAE has a majority population of Muslims (60%), followed by Christians, followed by all other religions such as Hindus, Jains and Farsis etc. 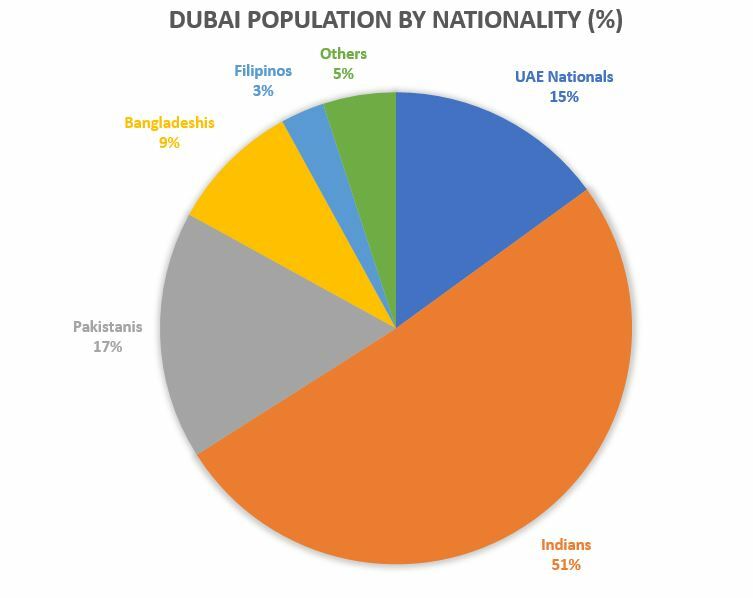 ha ha, 51% meaning Indians are majority stakeholders in Dubai’s population.